It’s coat season! 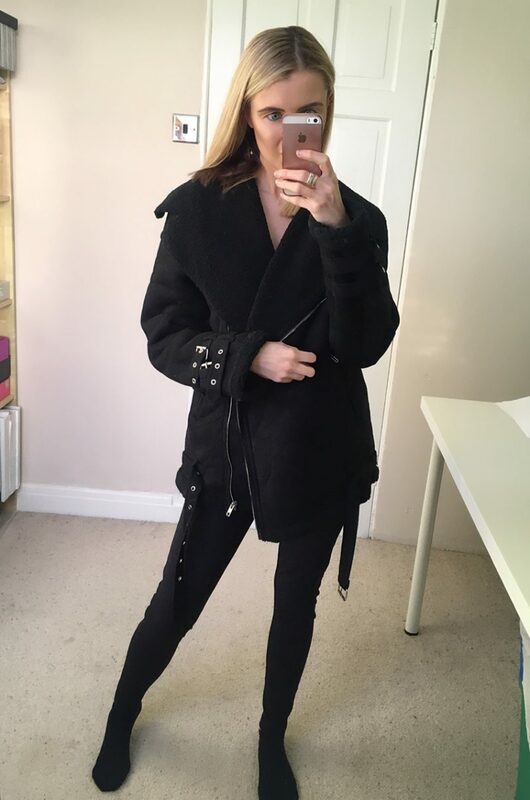 And you all know me – I love NOTHING more than a stylish black coat. I probably own more coats than I do pieces of underwear (OK maybe a little exaggeration there), but I do own one hell of a lot of coats and jackets. 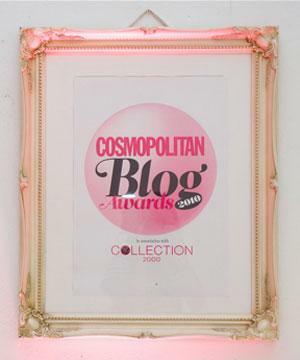 I just love having so many different ones for all occasions: big snugly faux fur numbers for the Winter, stylish fitted blazers for diners and parties, cropped fades denim styles for the Summer, and waist-tie trench coats for everything in-between. 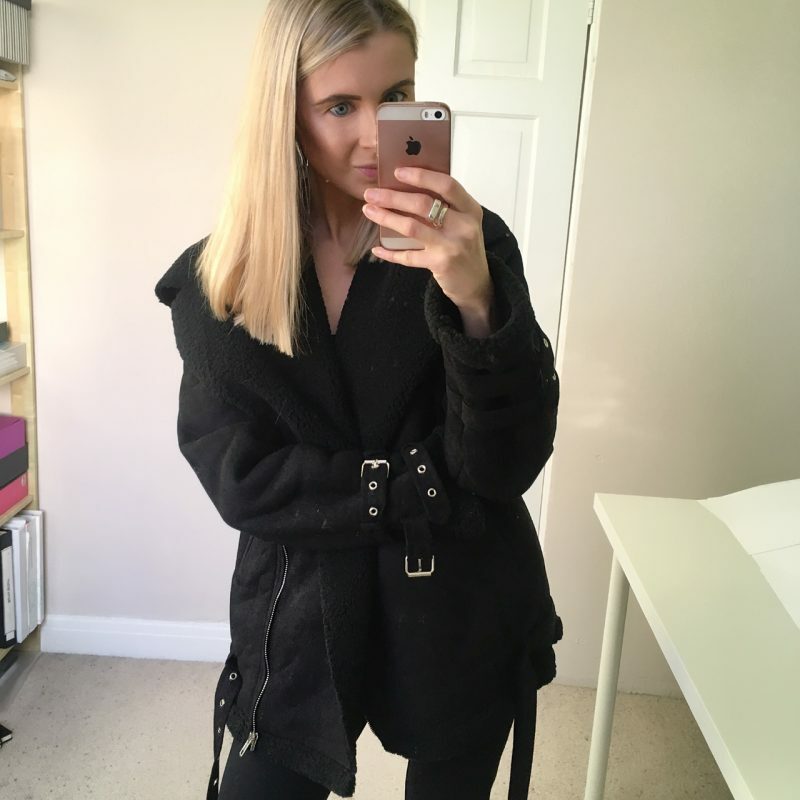 Two huge trends I’ve noticed recently across coats and jackets are the Aviator style, and the Biker jacket style, which I’ve spotted various fashion bloggers and influencers wearing all over my Instagram. 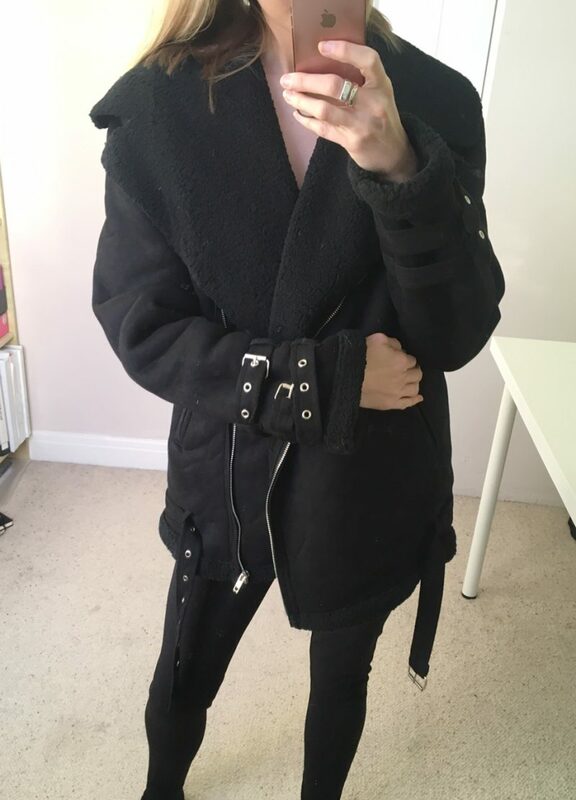 So as I needed two new additions for the upcoming month of December, I jumped onto this fashionable, growing coat trend to see if I could pull it off just as good! I’ll leave it for you guys to decide if I can truly pull it off, but I can say I found the best selection of on-trend coats over at Pretty Little Thing. I knew I wanted to get two jackets in black, one Aviator style, and one more biker. One more of a staple coat for the Winter to wear for work, and one more of a throw-over one for wrapping stylishly round me when visiting places for festive drinks and social events. This Black Faux Suede Aviator Jacket comes with a black shearling inside, various buckle and stud detailing, and an overall over sized fit. It’s meant to sit a little large on the body, as it’s styled as a more cooler, edgier and relaxed fit. 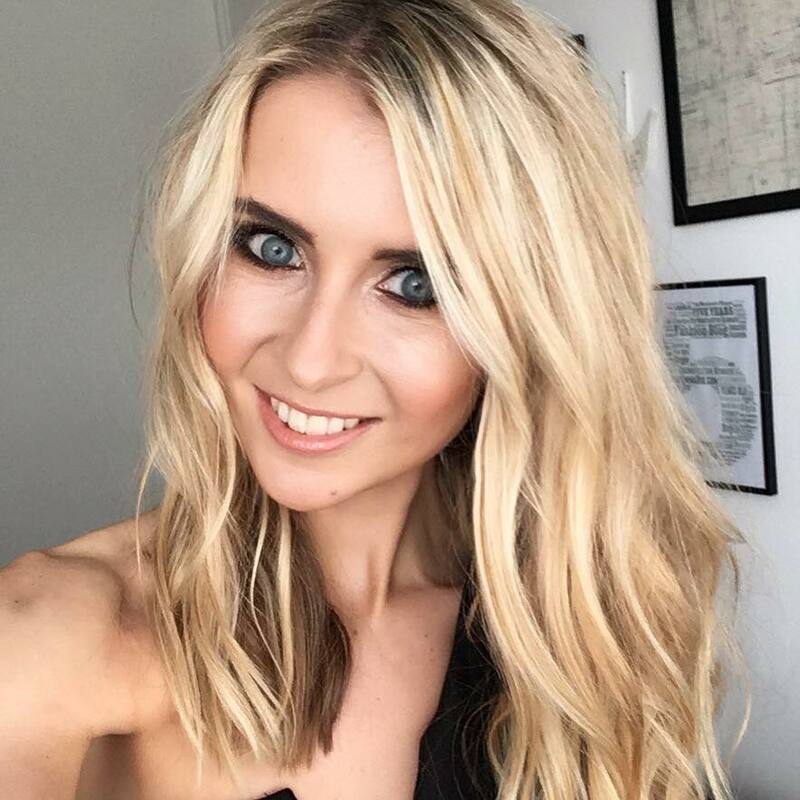 Even though the aviator trend is huge for 2017, it’s actually one of those trends which is never going to look out of fashion, because it’s so versatile – especially if you own a black one. 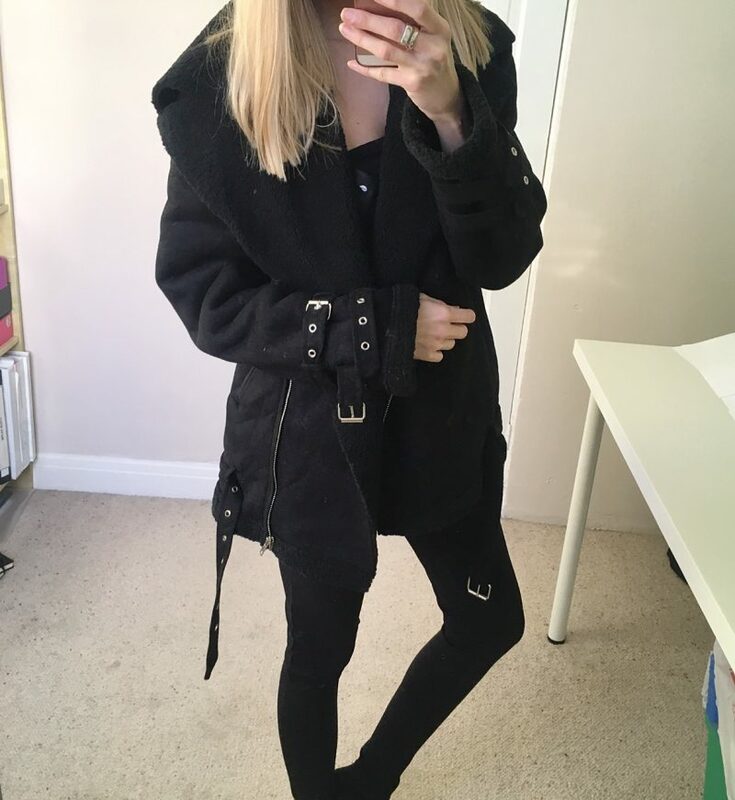 This particular one retails at £55 and it’s super cosy and warm, and looks awesome worn with skinny trousers and ankle boots. 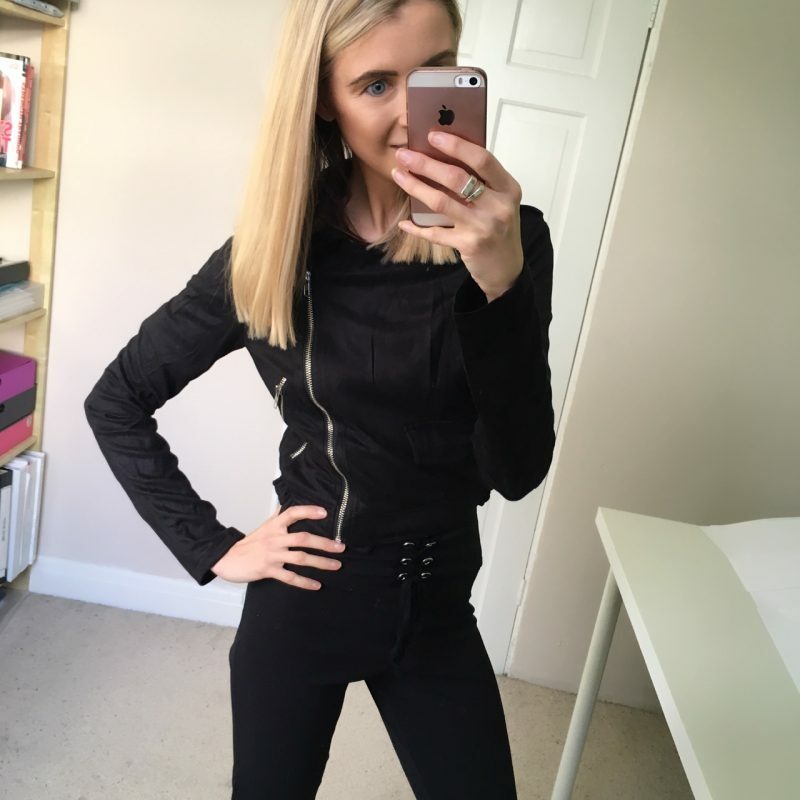 The other jacket I opted for is the Niki Black Faux Suede Biker Jacket, also from Pretty Little Thing. 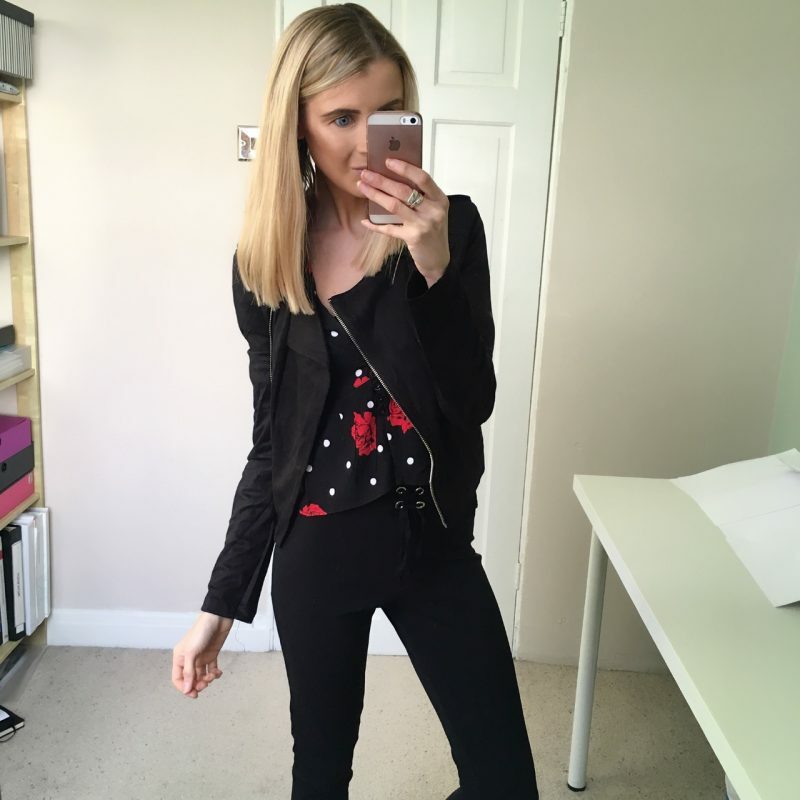 This is the perfect wardrobe essential for so many occasions, but because it feels so silky and lightweight, I like to wear it as a trendier version of a cardigan in the Winter, and I can then continue wearing it as a light jacket for the Summer. Style with a printed blouse underneath, a pair of high waisted skinny jeans and killer heels for a killer look! This Niki jacket retails at £35 and comes in an array of colours. But of course, I’d go for black….